We won’t dispute the fact that 550 paracord is great. It has tons of uses, and is a bug out bag and disaster kit staple. If it is the only cordage in your bag, however, you may need to reconsider. 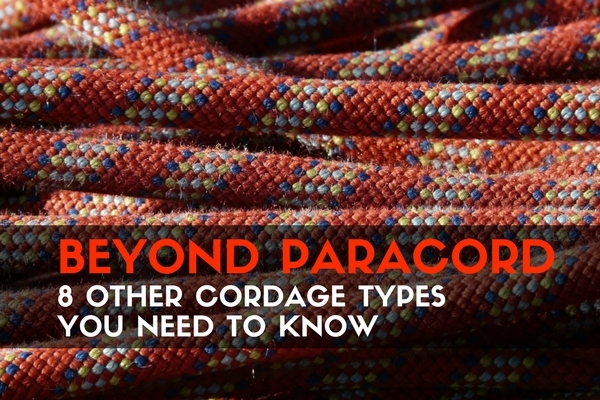 There are many other types of cordage you could add to your arsenal, designed for all sorts of uses. Bank line is a type of tarred nylon twine with great strength, weather resistance, and it holds a knot well- all of which make it great for bushcraft. It comes in a variety of sizes and it is either twisted or braided. Being sold by the spool weight, the higher test you get just a smaller roll. Our favorite type is the Catahoula Manufacturing Bank Line out of Louisiana. It is made in USA, has the tar applied before it is spooled, and is pretty cheap for the quality you get. Fishing line is great to have in your kits, but braid fishing line is more versatile. Braid does not have the stretch, has a higher pound test, and is very thin for its strength. You can use it to fish, sew, draw snares, tie tarps- the list goes on. You can even use it as a makeshift saw in a pinch, just be careful as taught braid fishing line can cut skin pretty easily as well. Power Pro Spectra Fiber 80# test is just as good as any braided fishing line, but you may want to just use whatever fits your rod and reel so you can use it for fishing and your bug out bag. Whether you have some climbing rope already laying around, or some rescue webbing- either is worth considering adding to your kit or bag. Having cordage that can easily support your weight, even when falling, is a great addition to most kits. Many people have the misconception that paracord can support your weight, but people don’t realize that any acceleration such as falling or pulling greatly increases the force on a rope. That’s why we recommend the rescue webbing used by the military. The flat shape allows it to be tied into slings and woven into hammock, and not just for climbing. A snare could be your last resort to get food if you are on the road or have a wilderness bug out location. Having good snare wire makes it so you at least can resort to something. This 24 gauge soft brass snare wire is perfect for making expedient survival snares. It is lightweight enough to put in any kit, and the brass makes it easily pliable to adjust the snare opening and tie off. Snare wires also can double as trip alarms, and many other wire uses. 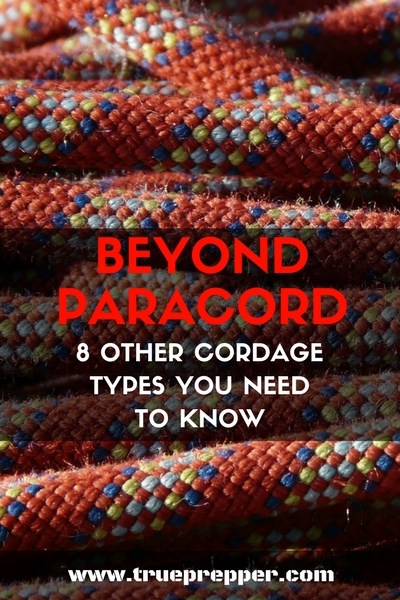 Okay, we know this is basically paracord, but it is too good to pass up for the list. Not only is it the 550 paracord that we all know and love, but it is much more! Titan has managed to add monofilament fishing line, waxed jute, and copper wire inside of 550 paracord while still keeping the 7 braided nylon strands inside. The fishing line is a quality 25 pound test and the waxed jute works as a waterproof tinder. The copper wire is great for snares. SurvivorCord can perform the tasks many of the lines above are designed for. Check it out and consider adding it to your kit. This is one of my favorites on this list, but it will set you back a few bucks being one of the more expensive options. Mason line is mildew and rot resistant twisted nylon line, and it is dirt cheap. At 170 pound test, you aren’t going to be jumping off of cliffs with it, but it is a solid multipurpose rope. You can use it for all the small task things you don’t want to waste more expensive line on. Use it to repair nets, string up gear, or whatever other routine task you can think up. You can find it really cheap at your local hardware store, or online. Sailors know their ropes. The preferred rope for sailing is the double braided halyard rigging line, made for one purpose: strength. It is also pretty weather resistant, having to stand up to the harsh elements sailing can expose lines to. The ½” line has a whopping 8400 pound tensile strength! This rounds out our list with the most capacity – 20,000 pounds. The 30 foot tow strap is a must-have in your vehicle kit, and hopefully you already have one. Being stranded away from home and away from your gear can put you in a bad situation, so having all the tools necessary to keep going should be a priority. Tow straps can double as climbing rope, despite their weight, and can be used to tie up tarps and other routine tasks where the size doesn’t get in the way. Most of the cordage above are better than paracord at some things, but not so great at others. Keeping a combination of cordage that can cover a wide range of uses will help you be better equipped to survive SHTF situations.